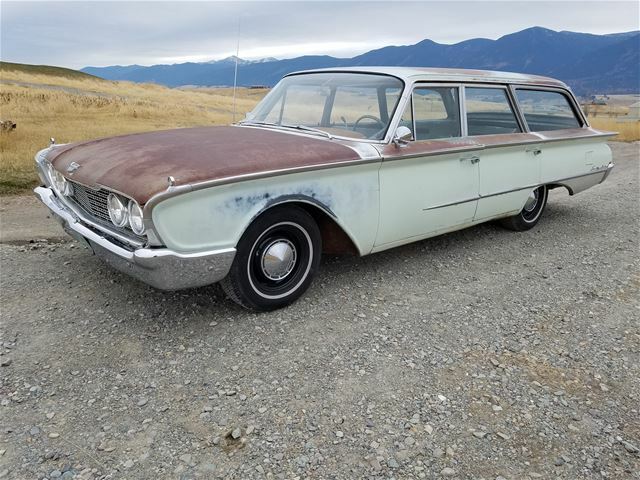 Out of Eureka, Montana comes this 1960 Country Sedan with loads of potential. 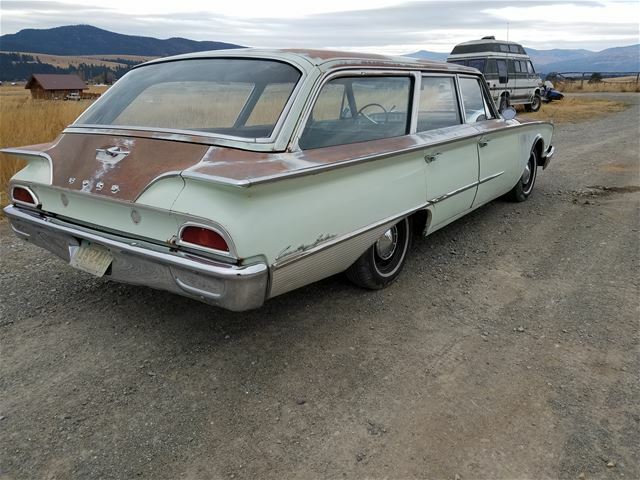 Now Montana might not be a place you think of as being kind to old cars but I’ve seen quite a few solid bodied cars come out of Montana in the last couple of years and this looks like another one. 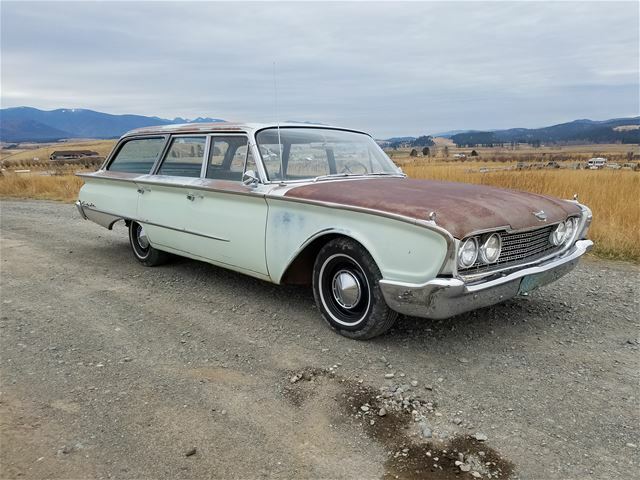 The seller tells us that there is rust on the front floorpans but otherwise the rest of the car only has surface rust, Found on Collector Car Ads this 1960 Ford Wagon has an asking price of $6,000. 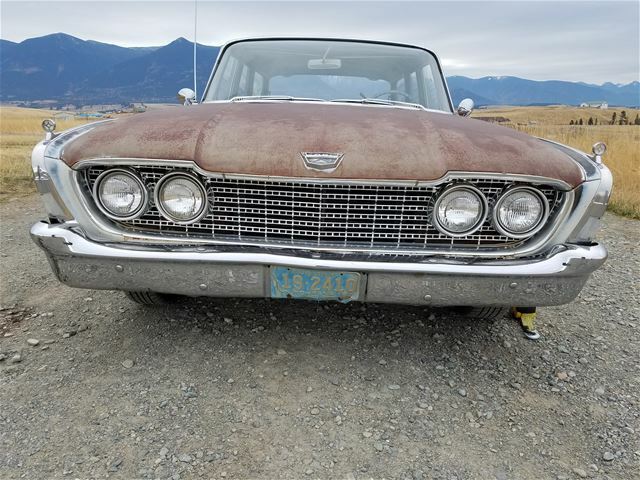 This is the kind of car that would be a great candidate for a full restoration or one that you just leave the patina as is and do a mechanical and interior fix. 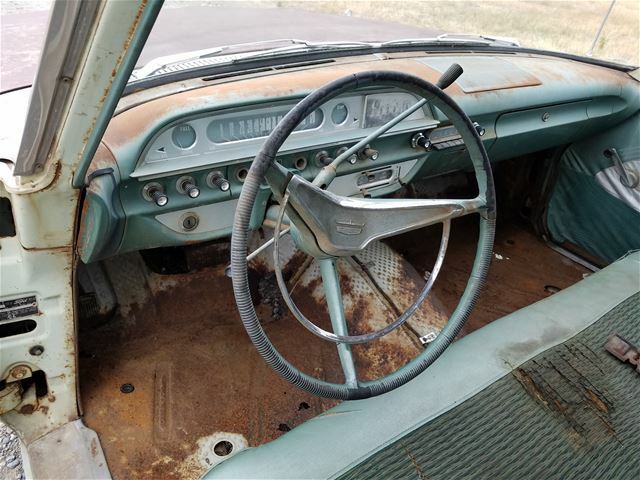 Ravaged by time and the elements, the paint is all but gone but the chrome and trim pieces really gleam! 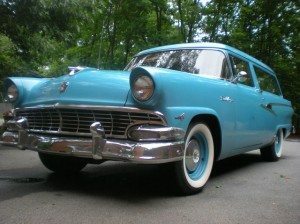 I’ve always loved the 1960 Fords and as many as they built they’re fairly uncommon. 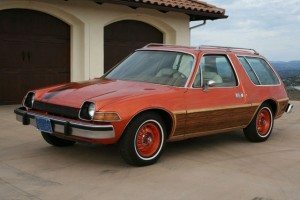 Make it a wagon and you have one seldom seen car here. For me, this is the best view of the car. 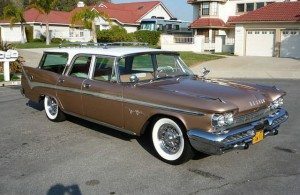 You have the mini fins that Ford always was reluctant to incorporate but are very tastefully done, and then you have the huge sweeping rear window. I would love to see a shot of the window and tailgate open. There must be something in the Montana air that keeps the chrome so nice. Re-chroming would be a big expense on this car but wow, it looks to be perfectly presentable. 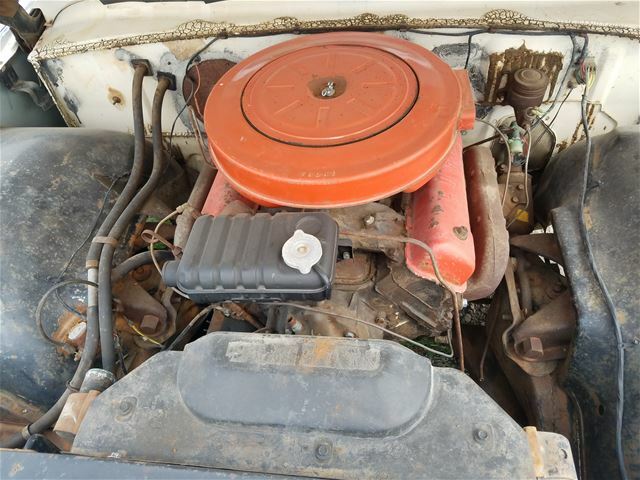 The seller states that the car turns over but lets assume there will need to be some significant mechanical work done. We’re definitely looking at a V8 here, and it looks like the 292 to me. Transmission is the Cruise-o-Matic. Front floor pans are an issue as we can see here but hopefully this is the extent of the significant rust areas. 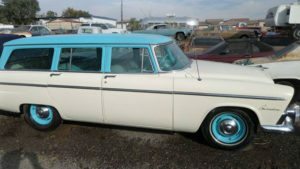 A fresh interior is also needed but this wagon has such a nice start with its body and chrome condition it might be worth a Montana road trip before the snow falls. Surfing,is this car still available?